Criminal Records is located off Euclid Avenue in Little Five Points. This Atlanta gem is not what it sounds like; the shop is not a boring office building that stores files on convicts. It is actually one of the only record shops left in the city, and in some people’s opinion, the one with the widest variety of products. 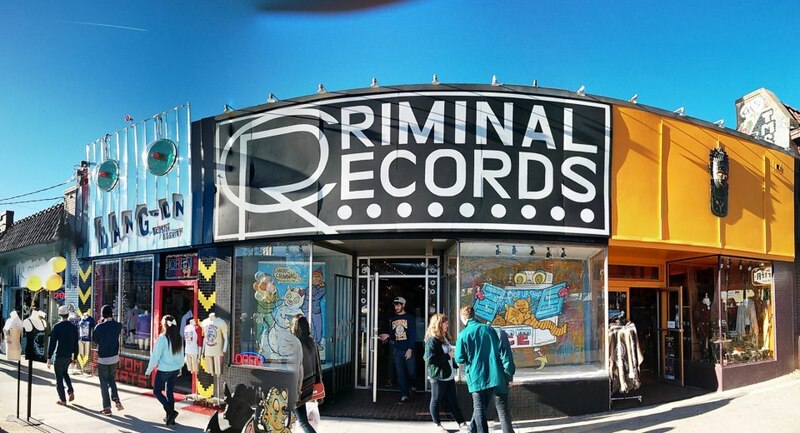 Criminal Records sells an array of things: albums, CD’s, cassette tapes, books, comic books, posters, clothing, knick-knacks, and the list goes on. Not only is there so much to choose from, but also the space sets a certain mood that makes you want to spend hours searching. The structure of the space is set up similar to a maze. When entering the store the first thing that meets the eye are the rows and rows of albums and CD’s. Going down each aisle is like entering a new section of the maze, each one is different. The products are stored on shelves, in bins, boxes, and crates. So much musical history in one room, this shop is definitely an easy one to get “lost” in. Although this shop is a labyrinth of music and culture, the area is actually very spacious. It does not feel closed in or small. The aisles provide pathways to the back of the shop and it is easy to maneuver around. The lighting and colors have a lot to do with the mood of the store. Many of the walls are painted a pastel green color and the lighting is soft, which has to do with the large skylight windows located on the ceiling of the space. The ceiling of the shop is constructed out of beams of wood, which gives the space a homey feel. The shop is definitely catered to customers with an eclectic style, which matches the trend in Little Five Points. The walls are filled with funky art and posters of all different colors. The floor of the space is dirty, unfinished concrete. The store advertises its use with its bold sign, its hip window displays, and location. Music/art lovers and curious passerbys mostly visit the shop. 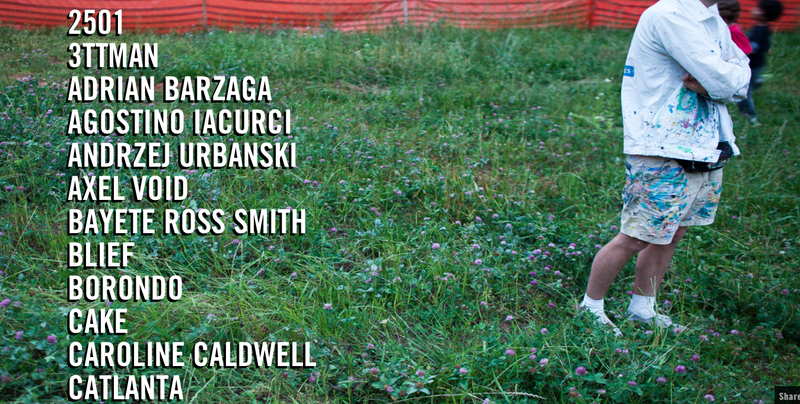 Overall, Criminal Records made me feel welcome and sparked my curiosity. I am a huge oldies fan so flipping through the albums of Queen, The Beatles, and The Rolling Stones brought me joy and made me almost buy one! The space is filled with repetition, colors, and the aural sounds of albums being flipped through and alternative rock songs over the loud speakers. This site has an urban feel and will definitely broaden any visitor’s knowledge of art and music if they dig deep enough. In this recording, several different sounds can be heard. The first is the sound of CD cases hitting each other as they are flipped back and forth inside the bin that holds them. This is an iconic sound inside a record shop. Customers explore all the different album covers, artists, genres, and songs by flipping back and forth between them. The second sound is the soft alternative rock playing in the background. During my time spent at Criminal Records the music playing over the speakers stayed consistent in theme and set the mood for the space. 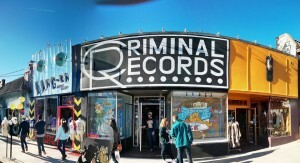 This is a photo of some signage I came across at the very back of the Criminal Records shop. 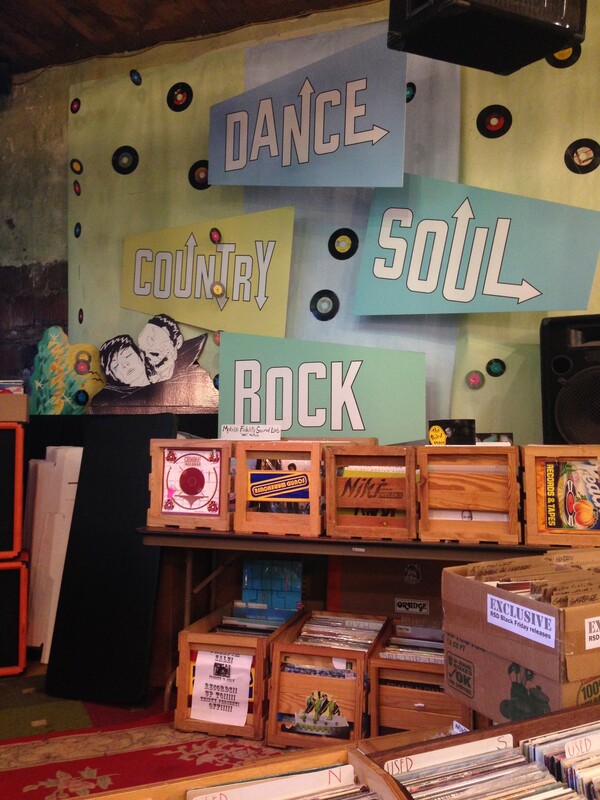 These signs describe different genres of music, which are definitely sold in the shop, along with countless others. The miniature record stickers on the wall behind the signs make the area fun and colorful. Underneath the signs are, of course, more records stacked in bins. This is a video I recorded while inside Criminal Records. At the beginning of the video it shows how many CD’s and albums are stacked on the shelves, and that’s just one aisle. Then, the camera pans around the room showing the entryway, the walls, lighting, and the back of the store. The lighting is somber and the store actually has several skylight windows in the ceiling, which provide natural light. Also in the video, a calm indie tune can be heard in the background, which matches the mood of Criminal Records and Little Five Points both.